On June 29 at the Department of Energy, President Trump’s cabinet members and key advisors touted important steps the Administration has taken, and will be taking, to leverage our nation’s technological know-how, vast natural resources, and human capital to drive the next era in American energy – one that President Trump says will be known as “dominance” across the globe. The growth in America’s energy industry has been critical for our economy and our nation’s small business sector. Low energy prices, healthy investment and quality job creation in the industry, along with new business creation over the past five or more years, have been bright spots in our economy. Without the positive and productive activity of this industry, the weak economic recovery experienced over the past five years would have been far gloomier. American consumers and small businesses have saved billions in energy costs, and growth in the energy industry has led to quality job opportunities and needed business startup activity. The underreported story of America’s energy renaissance has been the role of entrepreneurs and small businesses in making it all happen. Innovative small firms and small businesses that cross many sectors have supported and gained from America’s discreet yet rapid ascent to global energy powerhouse. This industry is dominated by small businesses, and it has been the entrepreneurs and innovators that have developed the technology to explore, develop, produce, and transport energy more cleanly and efficiently. New business creation in the U.S. is at about one-half of what it used to be in the 1970’s. Over the past decade, the cumulative dearth in new startup activity means our economy is “missing” approximately 3.4 million businesses. Obviously, this is a big problem for our economy and America’s workforce. Without new firm growth there is less dynamism, innovation, competition, investment and quality job growth in the economy. Thankfully, the energy industry has bucked this trend. In the early days of his Administration, President Trump took major steps to ease red tape and remove barriers to strengthen the energy industry. The Administration approved the Keystone XL and Dakota Pipeline projects, and issued a comprehensive executive order on promoting energy independence directing the EPA to take specific steps on Obama-era regulations and initiatives that have stifled the energy industry. American workers and small business are driving U.S. energy dominance. 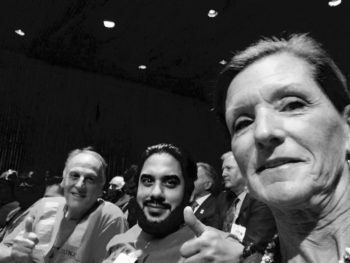 SBE Council president & CEO Karen Kerrigan joined union members at the Unleashing American Energy event on June 29 to hear President Trump outline his latest steps to strengthen growth and jobs in the industry. “First, we will begin to revive and expand our nuclear energy sector, which produces clean, renewable and emissions-free energy. A complete review of U.S. nuclear energy policy will help us find new ways to revitalize this crucial energy resource. Second, the Department of the Treasury will address barriers to the financing of highly efficient overseas coal energy plants. Ukraine already tells us they need millions of metric tons right now – and we want to sell it to them, and to everyone else who needs it. Third, my administration has just approved the construction of a new petroleum pipeline to Mexico, which will further boost American Energy Exports. Fourth, just today, a major U.S. company, Sempra Energy, signed an agreement to begin negotiations for the sale of more American natural gas to South Korea. Fifth, the U.S. Department of Energy is announcing today that it will approve two long-term applications to export additional natural gas from the Lake Charles LNG terminal in Louisiana. On July 6, Department of Interior Secretary Ryan Zinke signed an order to expedite the backlog on permits applications for drilling on federal lands and improve the permitting process in general. According to the Secretary Zinke, as of January 2017 there were 2,802 permits pending. The process is supposed to take 30 days. These steps and others taken by President Trump and his Administration are incredibly significant. For small businesses and the self-employed, it means stability and certainty when it comes to energy prices. This is critical for all small businesses, especially energy-intensive firms. For entrepreneurs and individuals looking for opportunities to start or grow a business, the outlook is indeed very bright. America’s relatively new global strength on energy has benefits beyond economic ones. President Trump’s actions backing his stated goal of global “dominance” is having positive geopolitical effects and benefits. In bilateral discussions with other leaders at the G-20 Summit, for example, American energy has been a key topic. To meet their energy needs, countries now have a friendly option outside of dealing with nations encumbered by instability, or ruled by dictators who do not share their values or best interests. Security and economic growth at home will foster a positive environment for risk taking, investment and entrepreneurship. 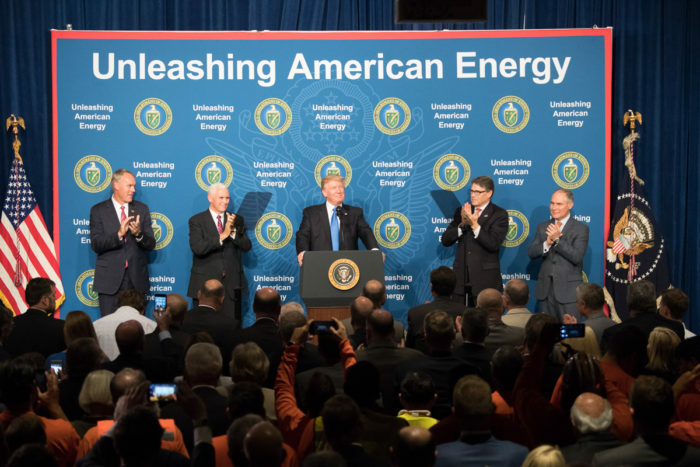 America’s energy resources are powerful, and President Trump is advancing policies that will not only lead to energy dominance, but a rebirth in American entrepreneurial dominance. Trump’s Executive Order Promoting Energy Independence and Economic Growth, March 2017. Expanding International Opportunity for U.S. Natural Gas, Including for Entrepreneurs, August 2016.